2 USB Power Inverter : Dual USB ports, in total 5V/3.1A for charging smartphones or tablets simultaneously. 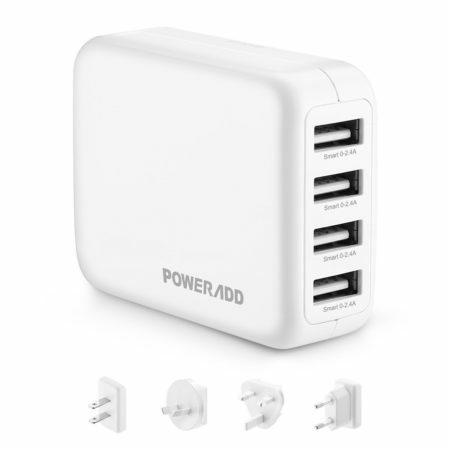 1 AC Outlet: the grounded AC outlet for charging laptop, breast pump, nebulizer, game console, kindle, TV, DVD players, lights, iPad etc. 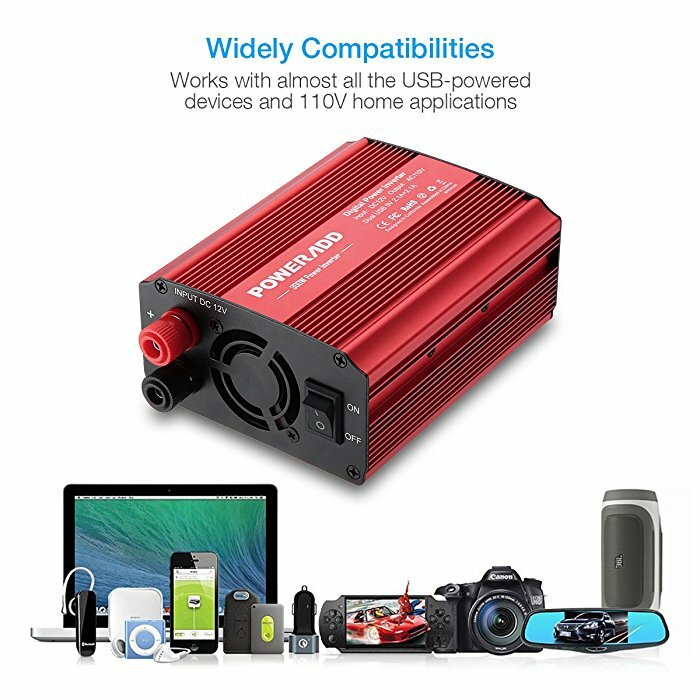 Light and Portable Power Inverter for Car: Smaller than a cellphone, the portable size allows you to take it anywhere conveniently. The cigarette lighter plug fits most vehicles. 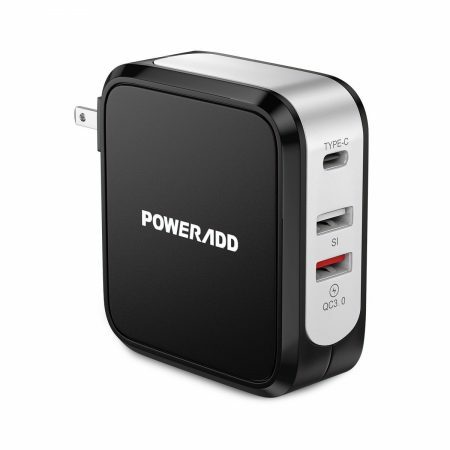 Durable Metal Casing: The robustcasing protects the power converter from drops, bumps, scrapes. 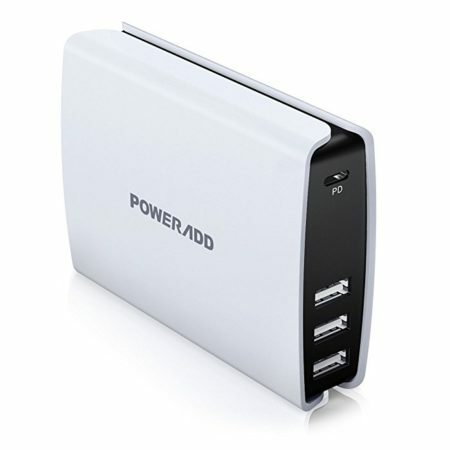 The integrated cooling fan prevents over heating. Built-in protection: The 40 Amps fuse helps protect from overload, over heating, over voltage, short circuit etc. 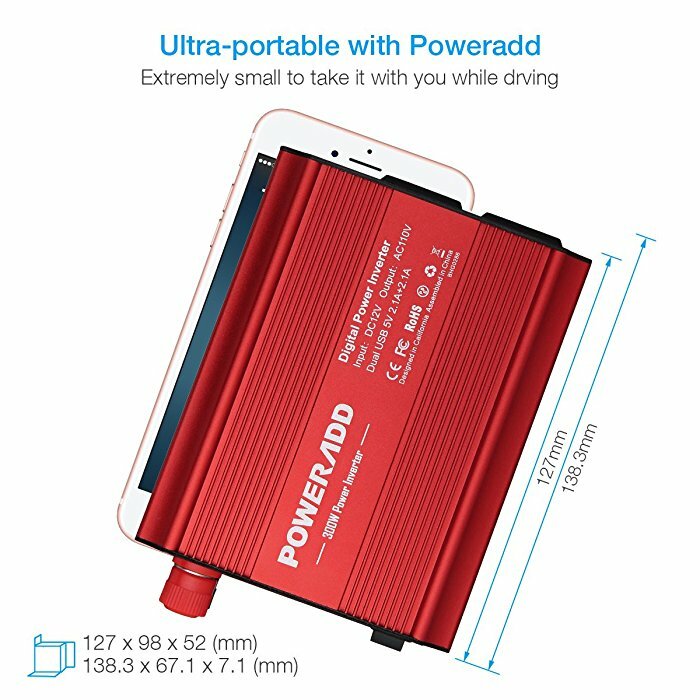 This Poweradd 300W car power inverter can be widely used for road trips, camping tour, business trips as it fits almost all cars. 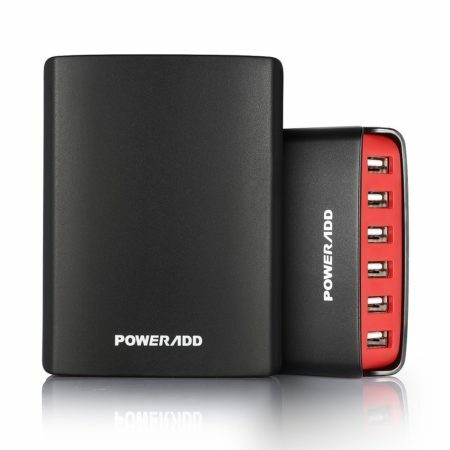 The double USB design can meet the need of your high drain USB devices, like smartphones and tablets. 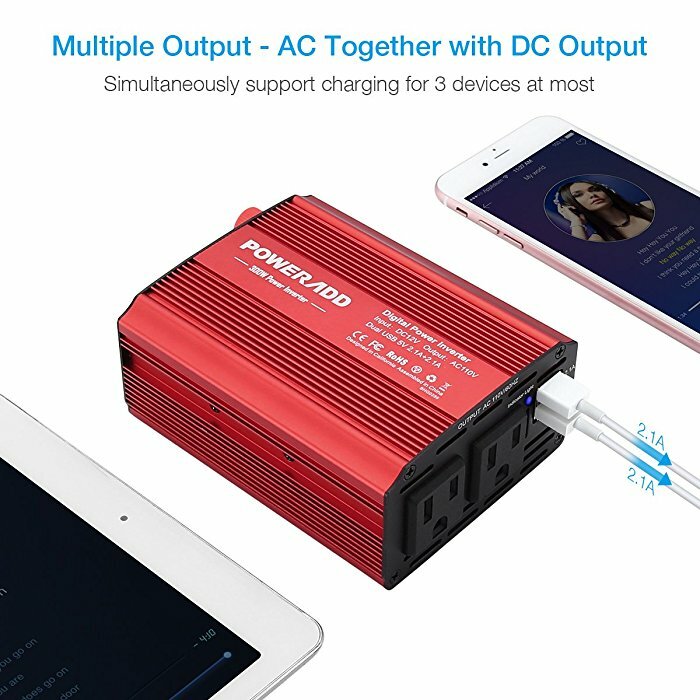 It’s able to charge 2 devices at the same time. 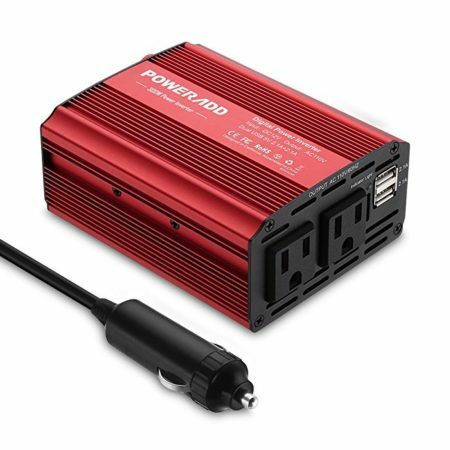 This car power inverter is a good helper on the road. 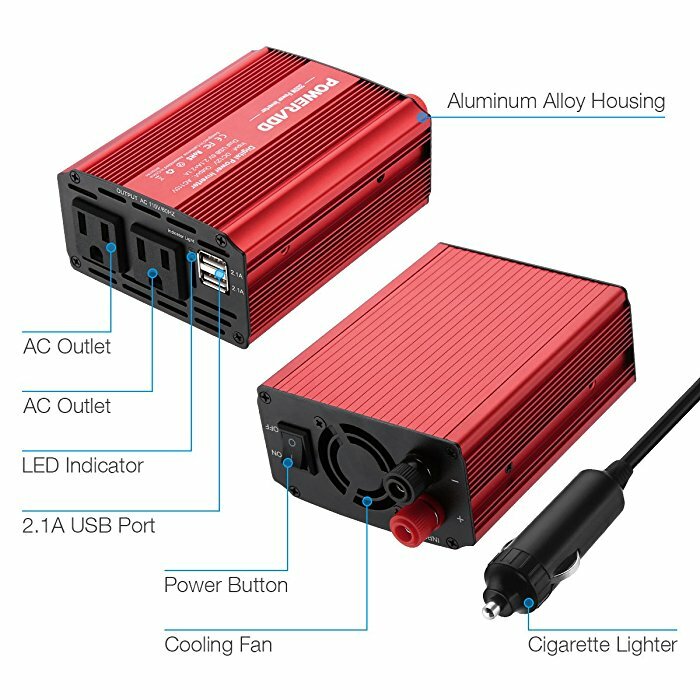 This 12V DC to 110V AC car power inverter is built with a heavy-duty power cord and a cigarette lighter. 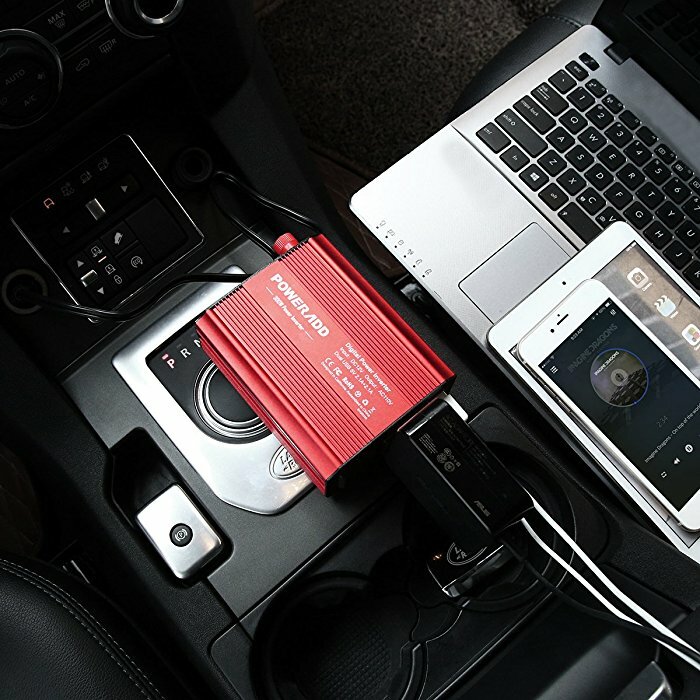 The cord has a useful length for easy connection so that it can reach to the backseat effortlessly. 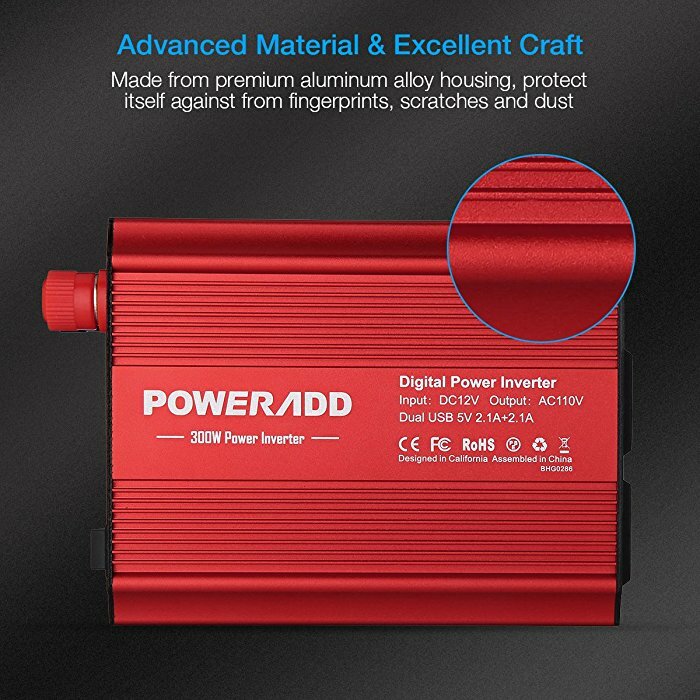 This Poweradd automotive power inverter, car charger DC to AC converter has total protection against low voltage, over voltage, overload, over heating, short circuit, thanks to the helpful built-in fuse.